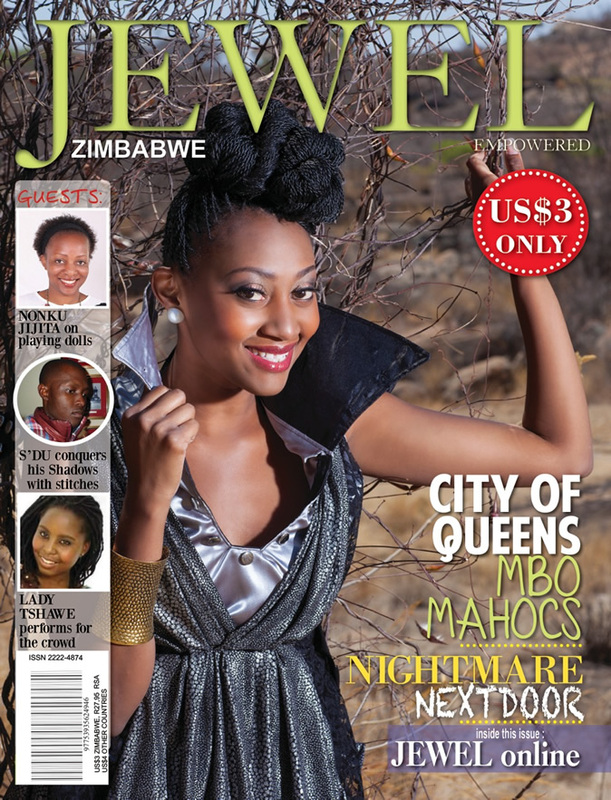 After 19 issues, Bulawayo's Sweetheart, Mbo Mahocs graces the 20th Issue of Jewel Magazine Zimbabwe as the first person from the City of Kings & Queens koBulawayo. The 25 year old TV Buddy, Actress and all that is creative, features on the magazine not only representing her dreams and story, but she also shares the cover with some of Bulawayo's top talented individuals. Inside the issue, Mahocs talks about her upbringing and how her parents played a huge role into making sure that she is brought up a humble and grounded royal Princess. 25 years later, the sweetheart breaks barriers representing all young people across all corners of Zimbabwe. A few months back, she was the rising star, but now she is a household name to be reckoned with. The magazine spread features the multitalented in creations by Top Designers, Sidumiso Tshuma, Annie Maliki, Nkululeko Ncube, Annie Gonyora and Sheenah Moyo, all talented individuals from the City of Kings and Queens. This Issue was indeed a royal Issue and it celebrates the creativiteness of Bulawayo, amongst many things. 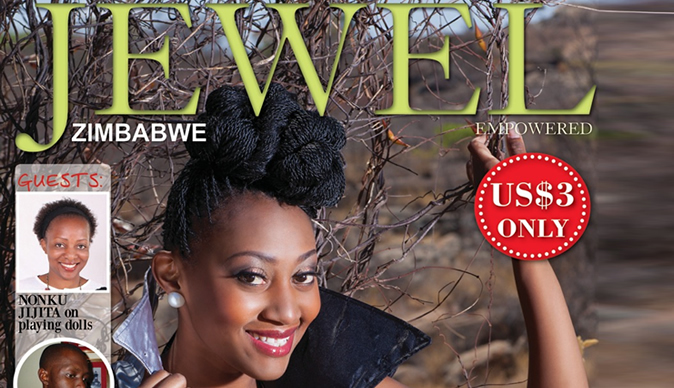 Past Issues of Jewel Magazine have seen the likes of Shingai Shoniwa, ZiFms Lorraine Charlotte, Oliver Mtukudzi, Chiwoniso Maraire, among other celebrated indivudals grace the cover. The 20th Issue also profiles Shadow by Sidumiso and HIFA Act √¢‚Ç¨‚Äú Nomashawekazi Damasane, making it the perfect royal treat for those to purchase. The fully City of Kings product, is known for her TV Presenting on BYO Swagg, her works with Deck Magazine, Hunnar Management Agency and her sparkling fashionable being. Miss Mahocs has also featured on a play by Mgcini Nyoni, The Really Stupid Things Men Say and is currently working on a short film yet to be released. Mahocs has been making waves in press this year, featuring on South Africa's Top Blogger √¢‚Ç¨‚Äú Phil Mphela, Southern Eye, amongst many media platforms. She recently hosted the Red Carpet at the Fashion Weekend Zimbabwe & is a workalcoholic. Mahocs is an Actress/Architect Student/TV Buddy/Fashionista and above all Bulawayo's Sweetheart, the sky is indeed not the limits for this royal lady.